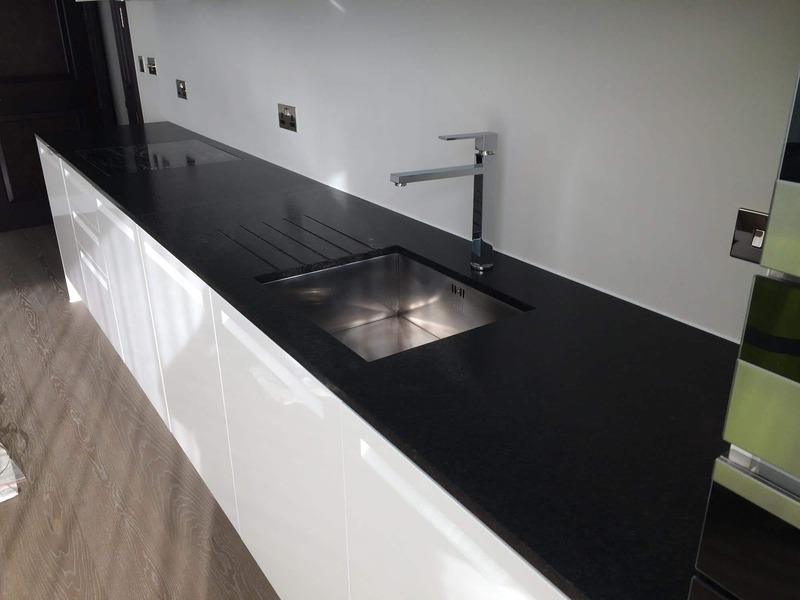 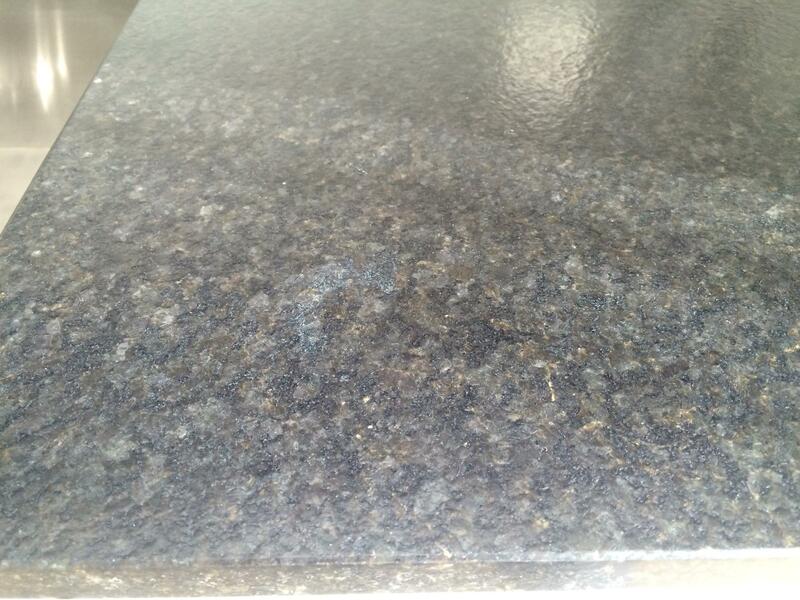 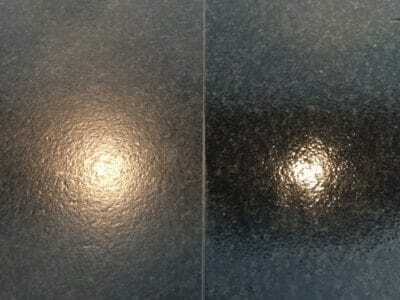 Textured Granite kitchen surface stains removed and cleaned for St Edwards Homes in London. The stain was inside the surface dips and needed a special clean and treatment. 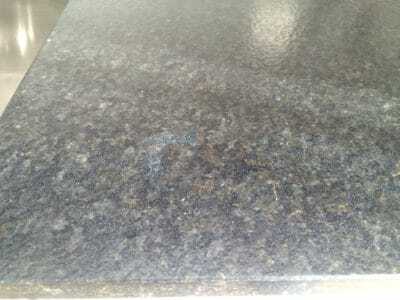 The image shows the kitchen half way through the cleaning and treatment procedure. 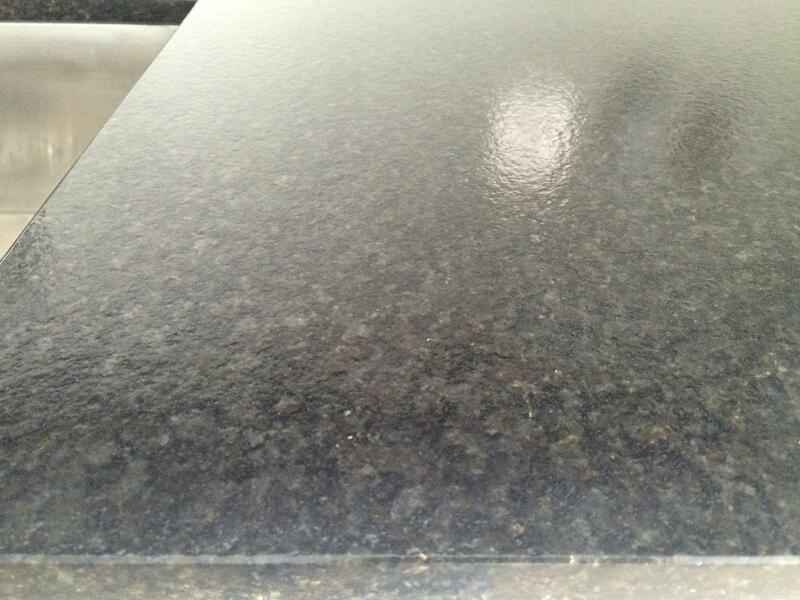 Clear view of the difference between the treated and in-treated granite. After the repair the kitchen top looks clean and dark in colour. 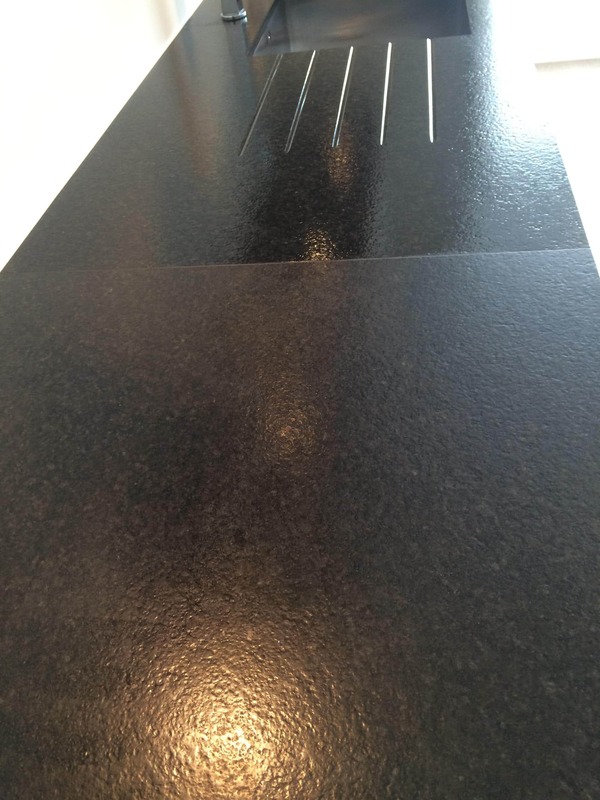 Close up of textured granite and staining. Another angle of the work top.